Then, one day, Saint is confronted by a succubus. Her baby brother, Atticus, is in danger and needs to be rescued. Despite, his misgivings, Saint agrees to take the case. 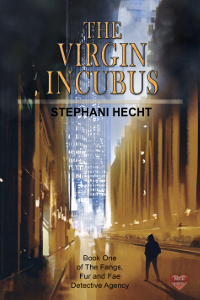 When they find the missing incubus, he has been starved, both of blood and sexual energy. Even though Saint thought he would never see it, Atticus is an incubus with a conscious, and doesn't want to hurt others.